One of the joys of having my own blog is hearing from the artists themselves. What is their process? What are they inspired by? 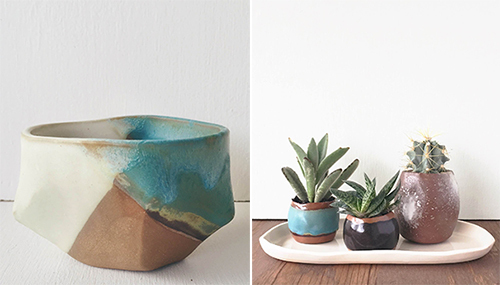 For ceramicist, Kristen Saksa Juen of Austin, Texas, it starts with natural forms. Kristen, "I am deeply inspired by the textures, forms and tiny details that I find in nature and there is so much to discover here in the South!" Based in Austin, Texas, Kristen molds modern, organic forms by hand. Her process is open and free forming, never rigid or absolute. Kristen, "I prefer to design without patterns or guidelines in order to keep exploring new ideas. For me, the creative process builds on itself. Sometimes a 'failed' idea spurs several other successful designs. I push myself to design with a healthy does of randomness which ultimately gives my work its unique, organic look." 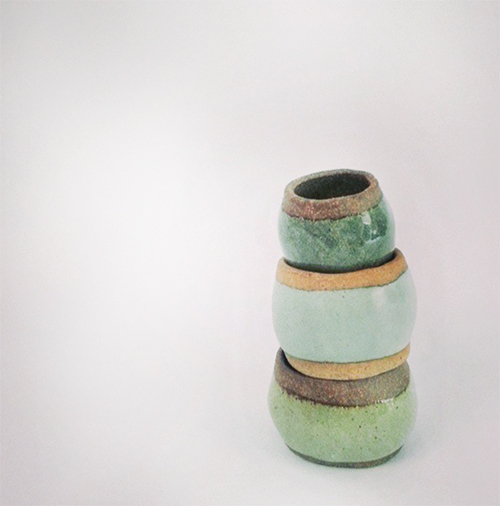 Kristen finds pure joy in her work and I have to say, I find pure joy in this trio of precious, earthy bowls. See more of her work and be inspired too, here.